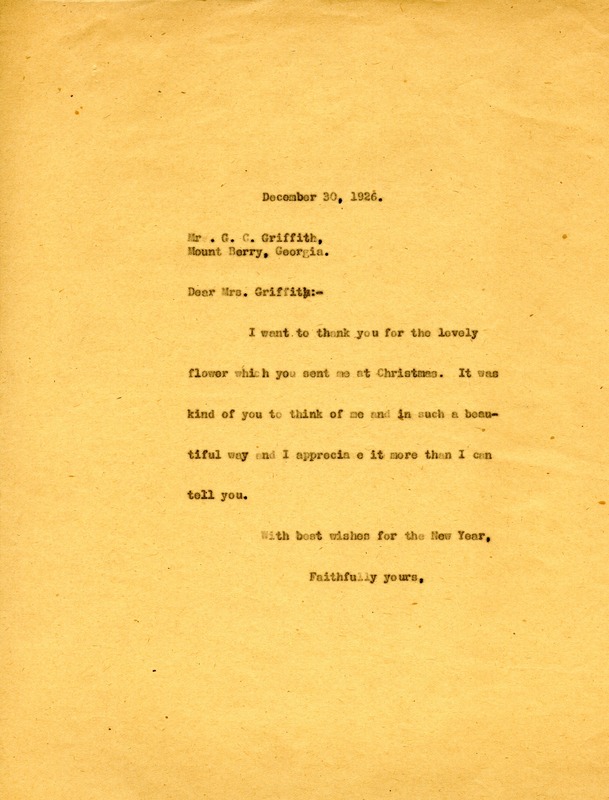 Martha Berry writes to Mr. Griffith to thank him for the beautiful flower he sent her at Christmas. Martha Berry, “Letter to G. C. Griffith from Martha Berry.” Martha Berry Digital Archive. Eds. Schlitz, Stephanie A., Chelsea Risley, et al. Mount Berry: Berry College, 2012. accessed April 21, 2019, https://mbda.berry.edu/items/show/3942.